Unicorns! Who Says They Aren’t Real? Over the years, the Hillsboro Balloon Fest and Fair have become known for providing excellent entertainment on the stage throughout the event. Thursday and Friday evenings, Saturday afternoon and into the evening entertainment includes a variety of talented musical acts. On Sunday, we turn to family entertainment providing a wide range of shows for the young and young at heart. 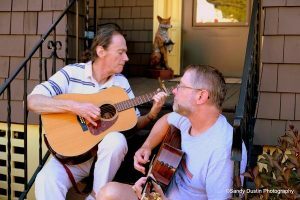 Fortune’s Favor is a contemporary folk duo consisting of Mike Bradley and Chris O’Connor. 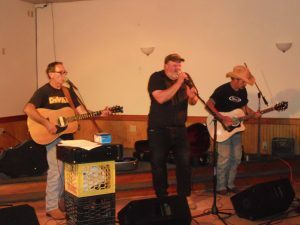 Formerly known as The Bible Hill Boys, they come from our own town of Hillsboro. Although known for their humorous songs, they also write love songs and poignant songs of life and loss. They really have fun playing together and we hope you’ll enjoy listening to their songs! Formed in 2009, Southeastern CT’s Chris MacKay & The Tone Shifters have become a popular staple on the summertime festival and event circuit all over New England and have been nominated for several music awards over the years including a New England Music Award. 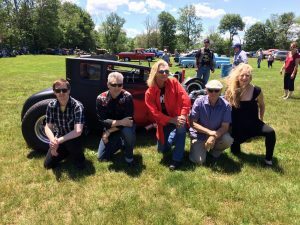 Known for their energy on stage, the band melds their individual musical tastes into a danceable blend of originals and covers known as “Swinginrockabluesabilly” fusing blues, rock, swing, country, swamp, and rockabilly that is sure to get you up and on your feet! Sue MacKay (accordion,vocals),Tim Stawarz (guitar, vocals), Ben Perry (bass, vocals) and Tim Zeppieri (drums). The name “2nd Time Around” describes not only their music, but themselves as musicians as well. They specialize in the music of the 1950s through the ’80s, the true roots of rock and roll. They’ll “sneak” in a few newer ones but, overall, 2nd Time Around is true to the essence of rock and roll. You’ve heard the term “classic rock,” music from the ’70s and ’80s. 2nd Time Around goes one better. They call their music “vintage rock.” The people who were in their teens in that era are taken back in time to relive their youth. 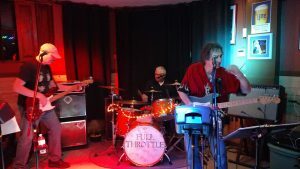 Full Throttle covers a wide variety rock song you all know and love. 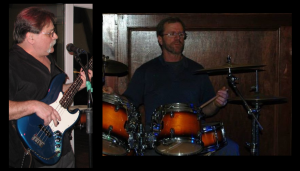 They are a high energy Classic Rock Dance band based out of Derry NH, playing hits from the 1960’s through today. Keeping the house rocking and people dancing is their main interest. The Soultown Band is New England’s premier Motown show band, performing the best of the golden era of Motown, Stax and Muscle Shoals Soul music. The Sequoias formed in August 2017 by new friends Jacob Gines and Benjamin Harris. 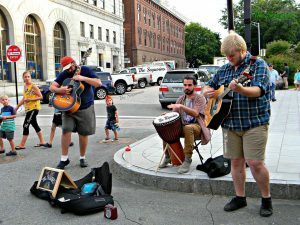 They have made strong roots in the Concord New Hampshire music scene. Sharing a great passion for creating unique fresh music, and a refusal to be boxed in. The Sequoias bring a fun and dynamic rock show wherever they go. They have been featured on local radio stations and played multiple venues in New Hampshire in their short time together: proving big things can come from small beginnings. Ethyric & B. Snair formed in the greater Concord area in the fall of 2017. Both members of the band share a passion and joy for music and performing with a goal of sharing that with others. B. Snair is a guitarist and multi-instrumentalist that has played locally with several bands throughout New England for over 10 years. 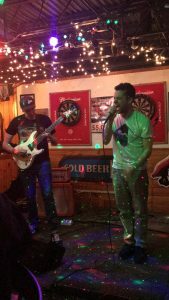 Ethyric is a hip hop artist and vocalist that has performed at many large events throughout New England. He blends many styles of rapping, singing, and poetry. Sharing his experiences through positive vibes with his lyrics and unique sound. Together they have formed their own style fusing hip hop, alternative rock, hard rock, and pop.